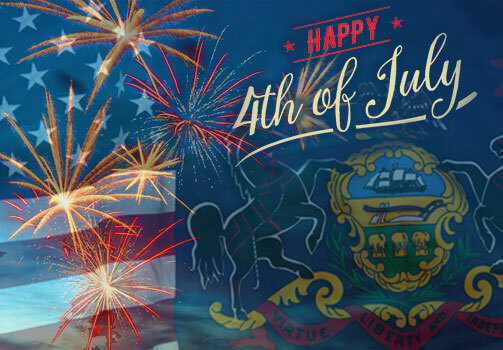 I hope you have a happy 4th of July holiday with friends and family, as we celebrate the birth of this great nation. We seem to see daily reminders of what divides us as Americans, but Independence Day is an opportunity to remember that we share a deep bond as citizens of this blessed country. The Senate Majority Policy Committee is coming to Northampton County to conduct a public hearing regarding the dumping of out-of-state clean fill and regulated fill material in our region. The hearing will take place on Monday, July 9 at 10 a.m. at Wind Gap Middle School (1620 Teels Road, Pen Argyl, PA). Members of the public are welcome to attend. I share the public’s concerns over the high volume of dumping activity occurring in my district and its environmental impact, so I requested this hearing to fully evaluate the Commonwealth’s environmental standards and make sure our residents are protected. Because of its close proximity to New York and New Jersey, northeast Pennsylvania receives more fill material than any other region of the state. And I’m not convinced we know what’s in it. The July 9th hearing will review concerns and testimony from the PA Department of Environmental Protection, local municipal leaders, area residents, business leaders and industry representatives. We want all voices to be heard and the public’s concerns addressed. For further details and to review the written testimony provided by the panelists, visit the hearing website. The site will be updated as the materials become available and video footage will be posted following the hearing. For more information, feel free to contact my offices at 610-863-1200 or 570-620-4326. Legislation I sponsored to reduce littering across Pennsylvania by requiring offenders to pick up trash received final legislative approval and was signed into law. When you look at all of the trash along our roads, it’s clear that fines alone are not enough to deter this crime. Littering is like graffiti and other acts of vandalism – when people engage in it without fear of punishment, it sends the message that no one cares and leads to more litter. It’s time to show we really care. Senate Bill 431 requires that for a first offense of scattering rubbish, a person is required to pick up litter or illegally dumped trash for between five and 30 hours within six months, in addition to the existing fine of $50 to $300. For a second or subsequent offense, the offender may also be required to pick up litter or illegally dumped trash for 30 to 100 hours over one year, in addition to the existing fine of $300 to $1,000. Furthermore, existing fines are doubled when committed in a litter enforcement corridor and tripled for litter that originated from a commercial business within a litter enforcement corridor. To ensure safety when litter is being picked up, Senate Bill 431 requires that a vehicle must yield the right-of-way to any authorized vehicle or pedestrian engaged in work upon a highway within a litter enforcement corridor. I am grateful to Keep Pennsylvania Beautiful and the Pocono Mountain Visitors Bureau for their support in passing this legislation. I’ve been working for years to put some teeth in laws designed to combat littering. This crime is bad for civic pride and bad for the environment. I look forward to a cleaner, healthier landscape of which we can all be proud. The Senate approved legislation that would provide students with alternatives to Keystone Exams to fulfill high school graduation requirements. Senate Bill 1095 now goes to the House of Representatives for consideration. It was my honor this week to recognize the finalists of my “There Ought to be a Law” competition, where intermediate and middle school students propose ideas they would like the legislature to consider for enactment into law. 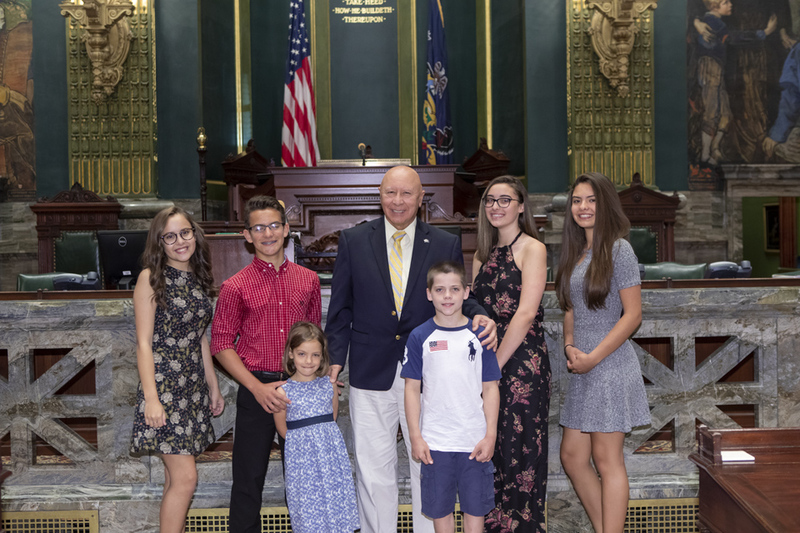 To recognize their achievements, I invited the students down to the Capitol in Harrisburg. This year’s winner was Gabriella Gonzalez, an 8th grader at Lehman Intermediate School of East Stroudsburg Area School District. She submitted a proposal to reduce food waste through modernizing the way grocery stores and restaurants order and stock products, so that unused food is more easily given to those in need. Taidhg Baillie (6th Grade) provided recommendations for improving fast food standards by reducing sugar and other unhealthy additives to address obesity and a number of health issues. Samuel Rodrigues (8th Grade) proposed the reduction of CO2 emissions through subsides of hybrid and electric vehicles, so that future generations can enjoy the environment. Grace Cuevas (8th Grade) recommended air conditioning for work trucks, like those used by UPS, in order to improve the health and well-being of workers. Carleigh Macy (8th Grade) suggested further penalties for domestic violence crimes so that victims receive the protection they deserve and increased penalties for repeat Protection from Abuse (PFA) violations. Well done all of you! Our future is in good hands. 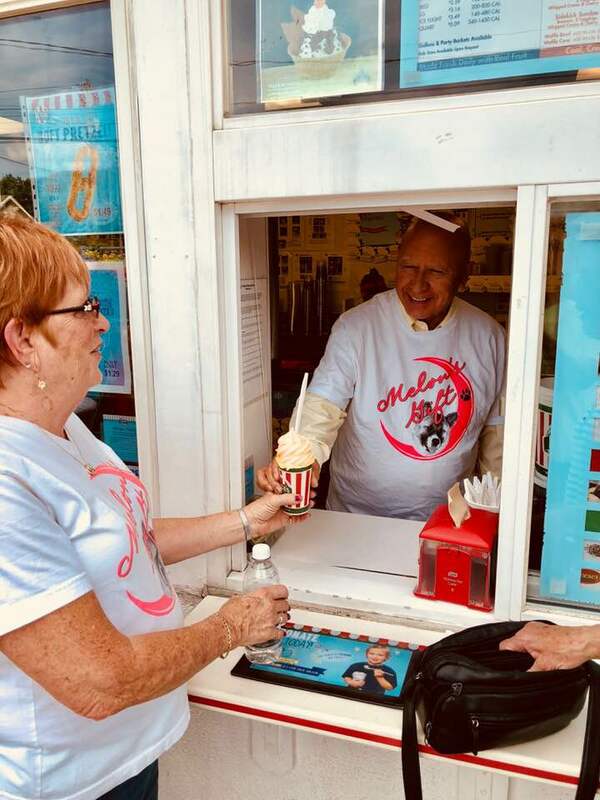 I had the opportunity to take part in the fundraiser this week for the Stroud Area Regional Police Department’s K9 Bulletproof Vest Fund as a volunteer guest scooper at Rita’s in Stroudsburg. Many members of our community came out to join the Monroe Animal League and Melon’s Gift to support this worthy cause and protect our four-legged friends. 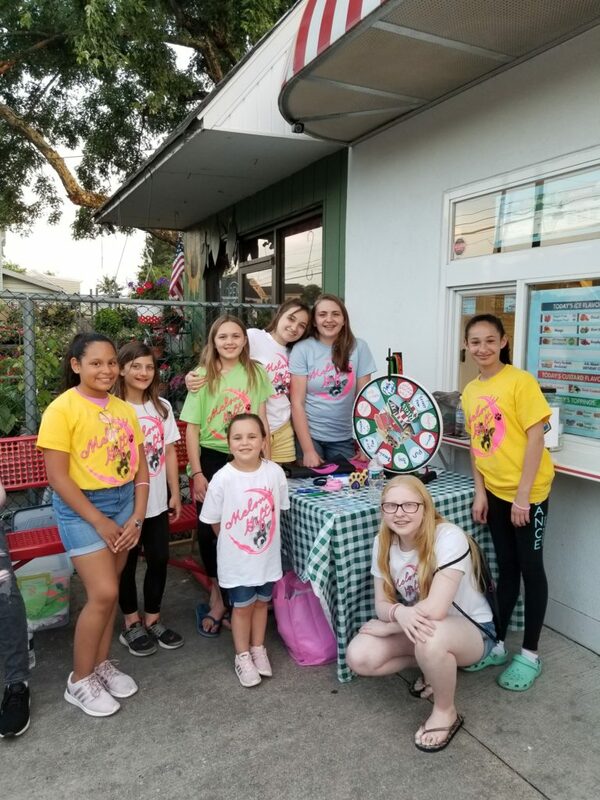 I also want to specifically thank the youth volunteers for all you did to make this a successful event: Elleana Rosas, Sydney Moritz, Delilah Cohen, Katherine Heetan, Scarlett Cohen, Emma Kraemer, Adriana Zaso and Tatum Dolan. 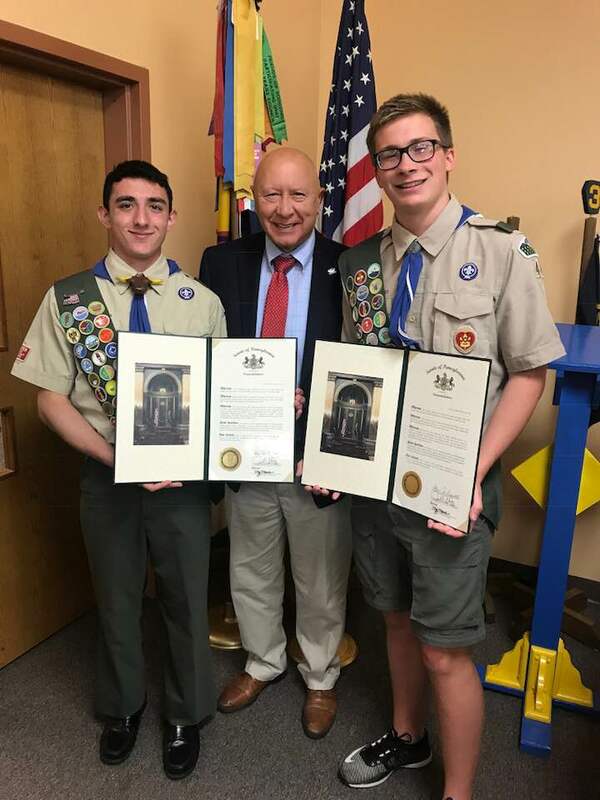 Congratulations to our newest Eagle Scouts – Pierce O’Dowd of Troop 86 in Stroudsburg, and Peter Gladstone and Peter Huleatt from Troop 44 in Bushkill Township. 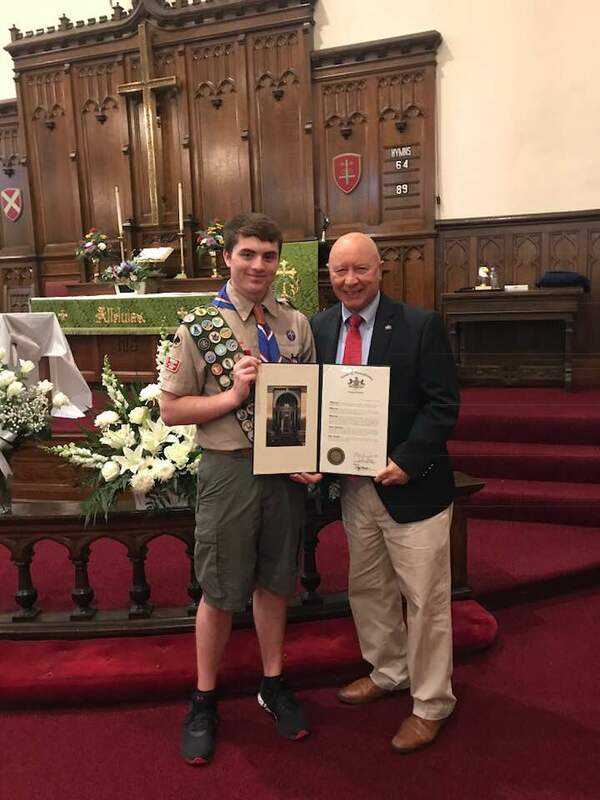 Another Troop 44 Eagle Evan Conklin, who lives in Senator Boscola’s district, was also honored. We are grateful for your service to our communities and your years of dedication to help your fellow Scouts. I have no doubt you will go far with the skills you learned along the Scouting trail!